Note: The deluxe model may ship separately from items that ship from our Florida warehouse. It may arrive at a different time from the rest of your order. 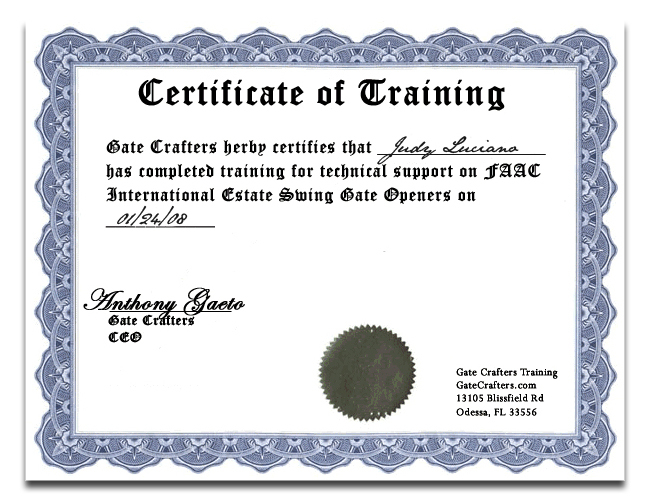 The Estate Swing Wand is compatible with: All gate openers. The Estate Swing automatic free exit vehicle detecting exit wand makes leaving your property a breeze. Any car driving towards the gate will be detected and automatically open the gate for the leaving party. Easy to install, it gets buried directly in the ground next to the driveway, not under it, so there is no saw cutting or paving to do. As metal moves past the sensor the gate opener is triggered to open. The Exit Wand is offered in two models: standard and deluxe. The standard model is a simple time tested design which is great for residential applications. 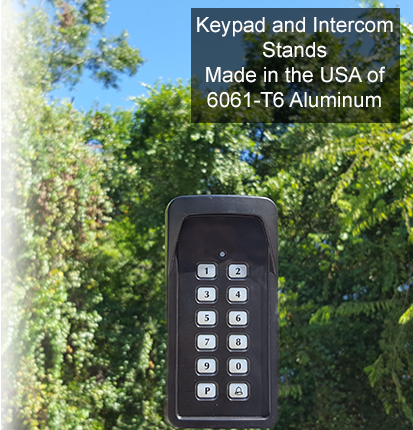 The standard includes with 75 feet of lead wire for a 4 wire connection to any gate opener control board. One accessory that is only found with the Estate Swing 75 foot Standard Model Exit Wand, is a range adjustment board. If the unit is too sensitive the range adjustment board can be wired in line with the ground lead which will decrease the sensitivity of the exit sensors detection. The deluxe model includes with 100 feet of lead wire to support an extended range of detection from the driveway gate. The added distance allows for a faster exiting of the property. In addition to the longer wire, the deluxe model comes with a grounding strap attached to the exit sensor. The grounding strap allows the user to drive a grounding rod next to the wand to allow for dissipation of electrical noise that can cause false openings. With both models it is highly recommended to position the Exit Wand as far back from the gate as your property can allow, this will give more time for the gate to open and less of a chance the car exiting will move into the path of the gate. Additionally, cars need to be moving to trigger the wand. The Exit Wands sees the “movement” of metal at a minimum of 5 MPH; therefore, to ensure proper detection place the Exit Wand in a location where the vehicle can accelerate to the appropriate speed. 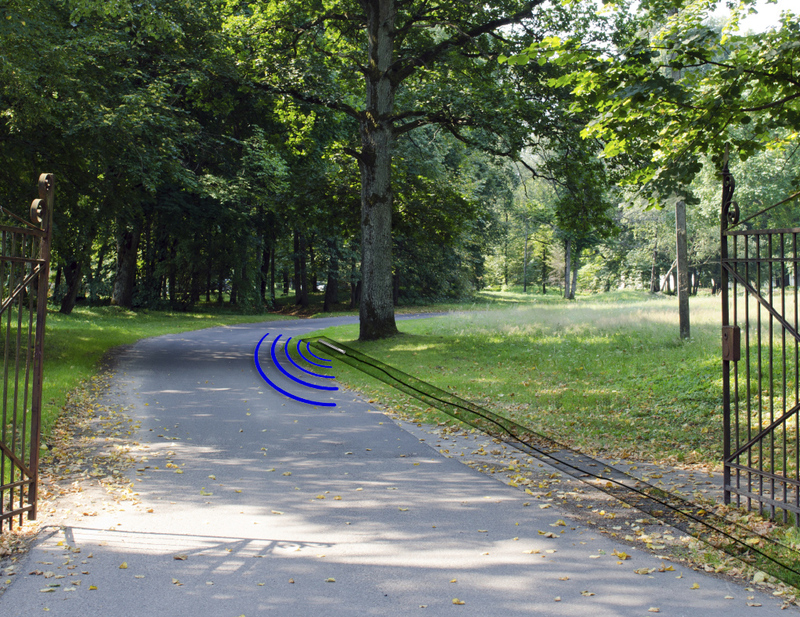 If the wand is placed too close to the gate, the car will not be able to reach the appropriate rate of speed to trigger the opening of the gate. Convenience: No remotes, no keypads, no opening the gate for guests, anyone inside can simply drive towards the gate and it will open like magic. Easy Install: Conduit is not needed, it is direct burial. Also, unlike loops, this device is positioned next to the driveway, not under it so there is not concrete cutting or patchwork. Unique Features: The standard 75' model is the only model on the market to include a range adjustment board to decrease sensitivity. The deluxe 100' model is the only model on the market to include a grounding strap to attach to a grounding rod to dissipate electrical disturbances. Estate Swing Simple: As with all Estate Swing products it is designed to be a no fuss DIY addition to the gate opener. 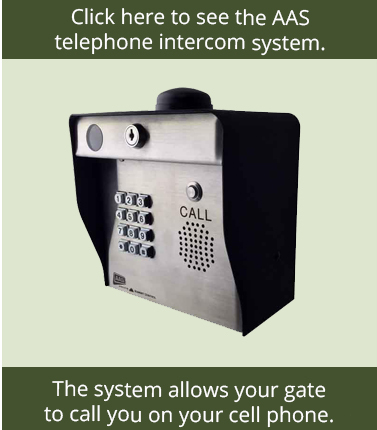 The power and communication comes directly off of the Estate Swing control board, simply match up 4 wires to terminals and your ready to go. 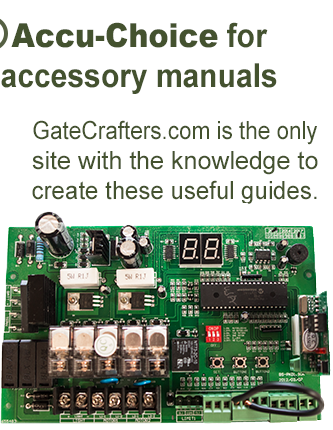 GateCrafters.com is a one stop shop for gate openers and gate accessories at a great price. Gate Crafters was started on the idea of providing gate opener and accessories along with great customer service to our valued customers. We have technical support available to you 7 days a week from 9 am to 9 pm, eastern time. Our experts are standing by to take your phone call, answer your email, or chat with you with our live chat on our website. We welcome any question you may have and can help you put together a complete package for you so your gate operates how you want it to. We look forward to hearing from you."